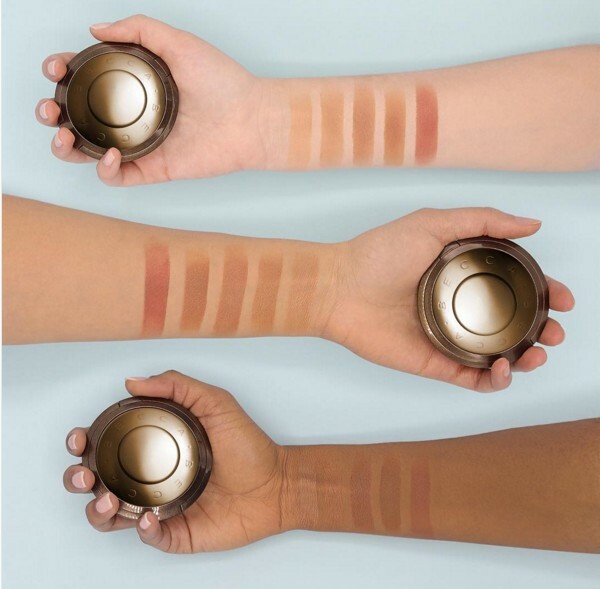 And BECCA has a new bronzer in 5 gorgeous shades for all skin tones. BECCA Sunlit Bronzers are each named and inspired by sun-drenched destinations around the world, like the one I love, Maui Nights. As all of us know, like foundations, bronzers are not 1-size-fits all. The level of brown and the type of undertones are so important for it to flatter skin. Each Sunlit Bronzer is unique and beautiful, from the golden topped cases to the intricate sand inspired pressed powder designs in the pan. The bronzer is smooth, highly pigmented and gives skin an immediately sun lit glow. My best match was Maui Nights, (shown above), a warm reddish brown with bronze highlights that is gorgeous on deep and very dark skin tones. Applying Maui Nights was a breeze. I used my BECCA Soft Kabuki Brush. 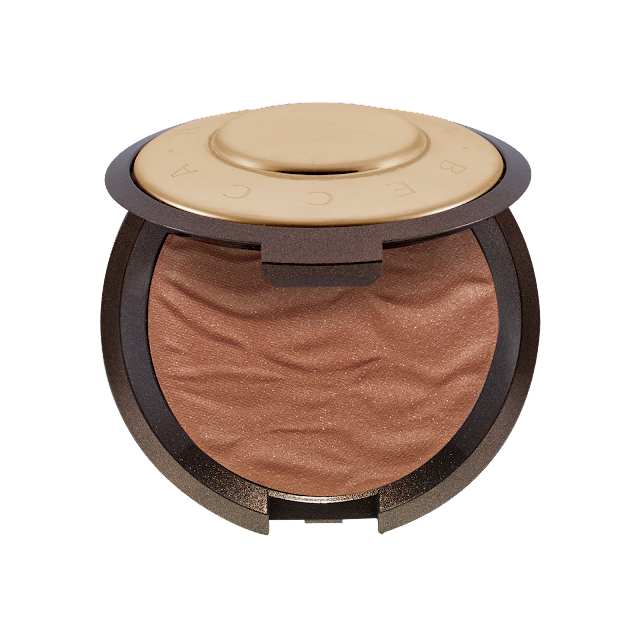 The Sunlit Bronzer was so soft and silky and blended into my skin tone immediately, giving me a touch of color and definition, but also pretty, subtle glow. The bronzer lasted well over 8+ hours without fading or transfer.